WASHINGTON, DC—It’s a great day for resisting the reign of the newly inaugurated autocratic, sexist, racist, ableist, xenophobe-in-chief and the powers that got him elected in the first place. 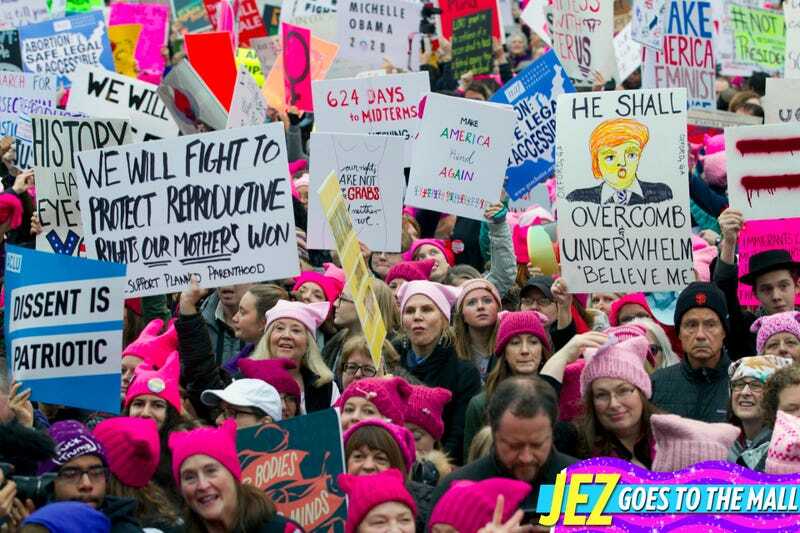 Women and men are protesting all over the world, and we’ll bring you the news as we learn it, right here. Don’t touch that dial. h/t friend of Jezebel Erin for the headline.